It's no secret that North Park's Waypoint Public has expansion plans, and we have confirmed that John Pani's ELE Collective will open a second location of it's popular beer-centric gastropub within the new Del Sur Town Center in 4S Ranch. Like the North Park location that replaced The Linkery and opened in 2013, the 4S Ranch Waypoint Public is owned by local restaurateur John Pani's ELE Collective, which also operates Park & Rec in University Heights and Hotel Vyvant in Little Italy. The menu and kitchen will be under the watch of former Top Chef contestant and longtime San Diego chef Rich Sweeney. Waypoint Public will continue to meld worldly flavors with Southern California ingredients while also wholeheartedly embracing the local craft beer community. 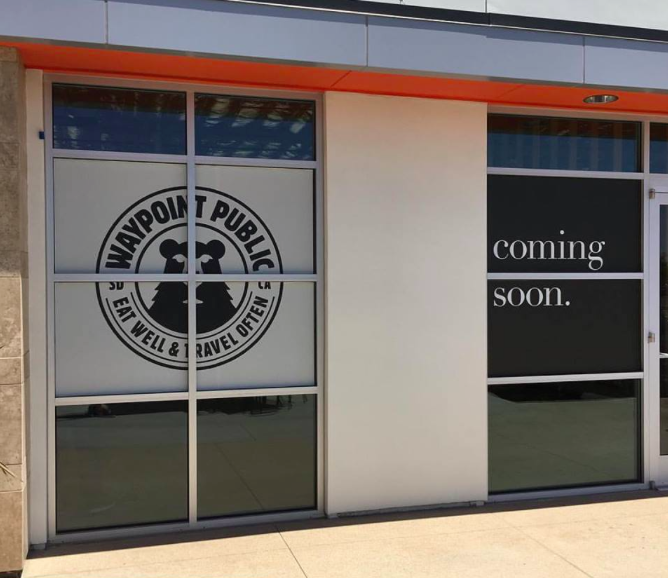 Waypoint Public is expected to open its Del Sur Town Center location by the end of summer/early fall and is located at 16490 Paseo Del Sur in San Diego's 4S Ranch neighborhood. For more information, visit waypointpublic.com.